An oil change on your Suzuki Vitara is pretty simple. The car is high enough off the ground that you won't even need to jack up the car. These instructions are for a 1999 Vitara, but they should apply for similar models such as the Suzuki Escudo and the Chevy Sidekick. The owner's manual recommends changing the engine oil and filter every 3,000 miles or every 3 months (whichever occurs first) for short trip/city driving. For long trips and highway driving the interval increases to 7,500 miles (or every 7.5 months). Go ahead and gather everything you'll need. The Vitara is high enough off the ground that you don't need to jack up the car which makes things easy. 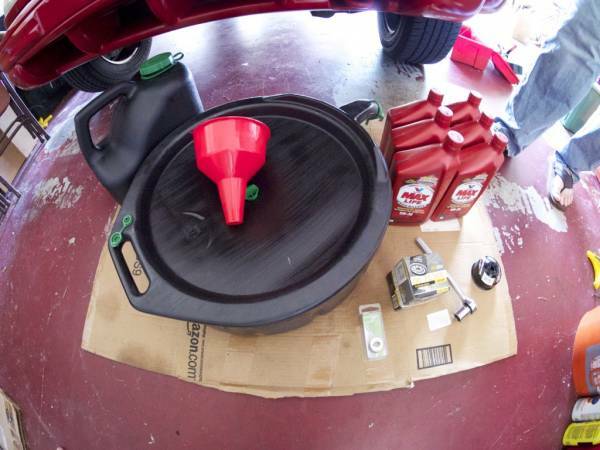 Simply slide your cardboard and oil drain pan underneath the oil pan - It's the squarish reservoir near the front center of the car with a bolt on the bottom. Take your wrench to break the bolt free (12mm), then use your hands to finish removing the bolt so you don't drop it. Getting your hands dirty here is inevitable due to the straight-down design of the drain plug. The oil will now start draining. As you can see my hands are no longer clean, but that's what paper towels are for! Once the oil is starting to trickle out I always like to add a very small amount of fresh oil (5w-30) through to flush out the old stuff. A funnel can make the job easier. 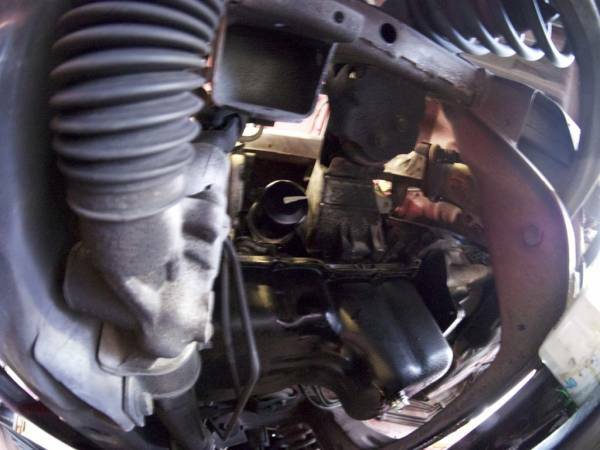 The oil filter is pretty easy to spot - you can see it in the picture below. It's on the driver's side close to the drain pan. 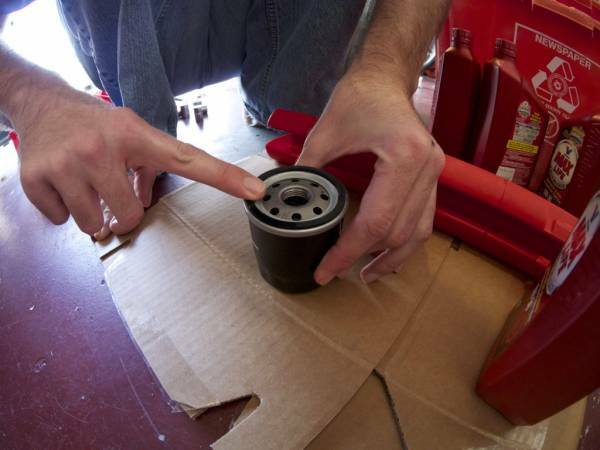 Use your oil filter wrench to break the filter free, then hand turn the rest of the way since the filter will have some oil inside and it'll be easier to prevent spills by getting a good grip on it. 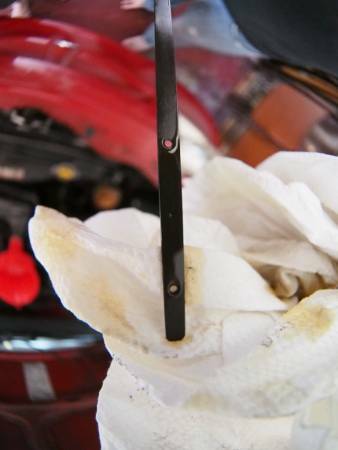 Discard the old crush washer (check to make sure it's not stuck to the oil drain pan) and throughly clean the oil drain bolt with a paper towel. Put on the new crush washer. The washer should have a flat edge and a rounded edge - you want the flat (or sharp) edge to sit flush against the oil drain pan. This means you want to make sure the flat edge is pointing out, and the rounded edge is pointing towards the head of the bolt. 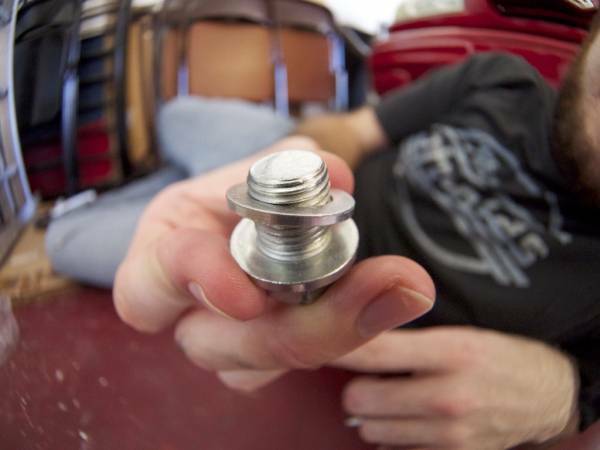 Give the oil drain plug a quick wipe with a paper towel, then hand-tighten the drain bolt back in. Using your torque wrench tighten the bolt to 35 Nm (25.5 lb ft). If you don't have a torque wrench then tighten it with your socket wrench instead (just make sure not to go overboard and tighten it too much, otherwise you risk stripping the drain pan). 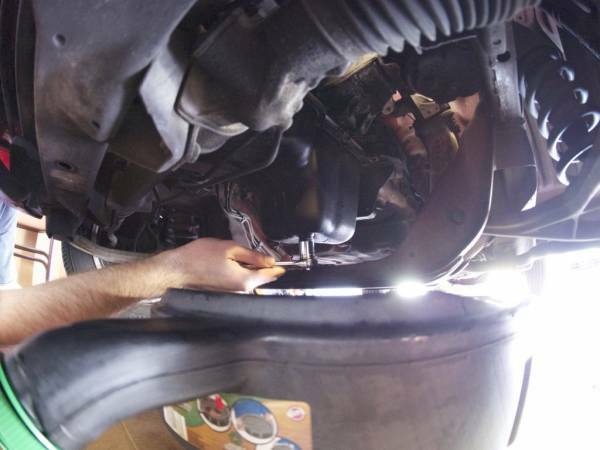 Dip your finger in some of the new oil and rub it around the gasket of the new oil filter. The owner's manual states that the oil filter should be tightened 3/4ths of the way once the rubber gasket sits against the oil filter mount. 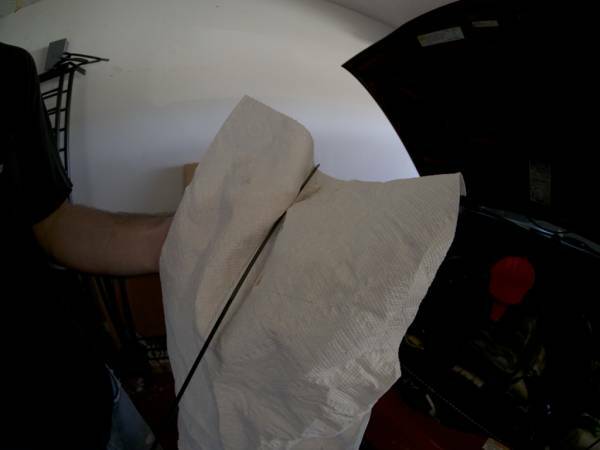 Screw the new filter on until you feel it meeting the car, then mark the filter with masking tape. Here I put tape on the 6 o'clock position. Using your oil filter wrench (or just your hands if you can manage), tighten the oil filter until you've turned it 3/4ths of the way. If you marked the filter as I did then you'll want to turn the filter until the tape points at 3 o'clock. With everything installed down below go ahead and clean up the oil drain pan and any other parts that may have gotten oily. Pour the new 5w-30 oil in. When I did this I ended up adding all 6 quarts, however I recommend that you stop early and check often. You don't want to over fill - then you'd need to get back under the car and try to pour some out! The service manual recommends adding oil until full, running the engine for three minutes, then re-filling the oil until full again. Pull out the dipstick, wipe it down, insert the dipstick back in and then check it. These two circles are your min and max fill markers. You want the oil to be just at the upper max circle. 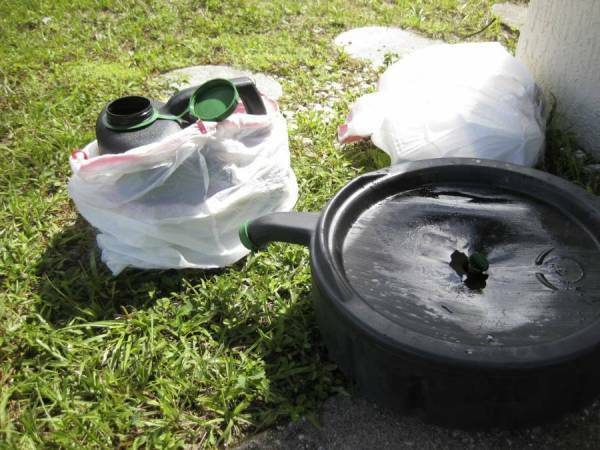 Dispose of your used oil in a used oil receptacle. 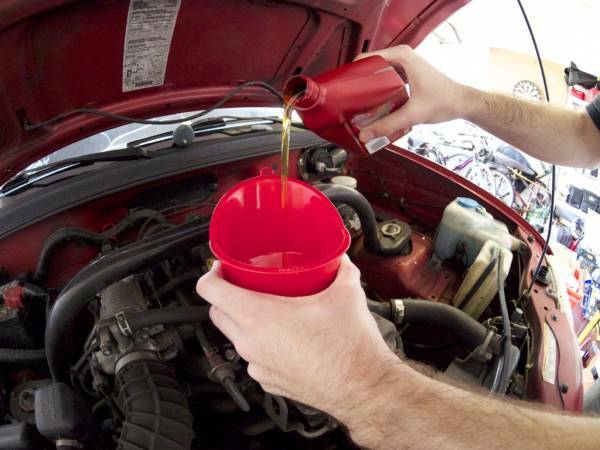 Most auto parts stores have recycling that will accept used motor oil.